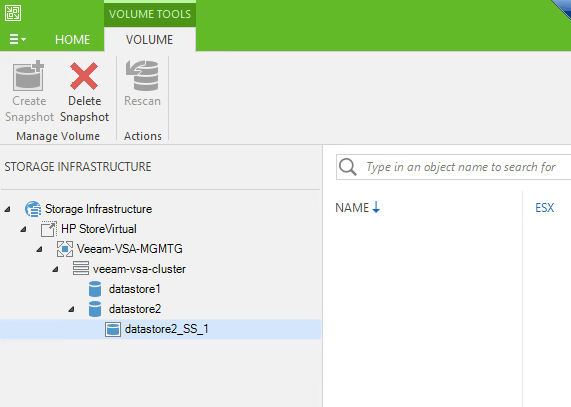 Veeam and PowerShell: A perfect match! 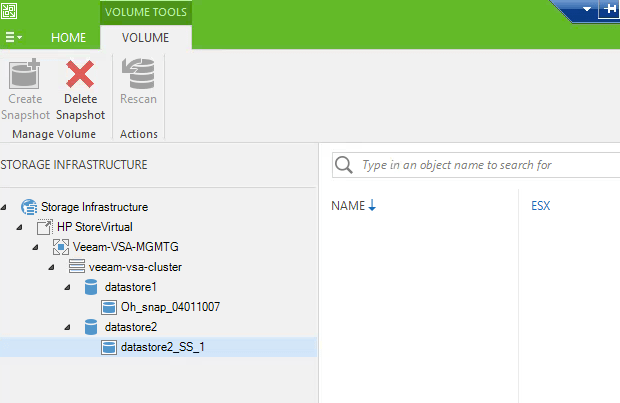 I read a really good and useful blog post a while ago from Preben Berg from Veeam describing how to use PowerShell to restore a database from backup to a dev environment. This made me think on another scenario that would be fun to script that might come in handy someday. 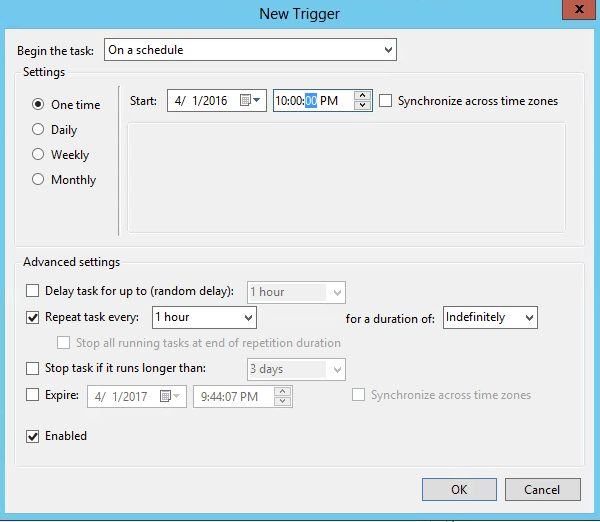 What if you have a SAN that you would want do snapshots on once an hour and save some of those historical snapshots rotating the oldest one. Now for the disclaimer part, this is merely meant to showcase how you might accomplish this. There are no safety features built in. Do not use it in production and use it at your own risk. However if you’d like to do some further testing of your own, you can download a virtual SAN from HP – free of charge up to 1 TB. Nice! First things first. 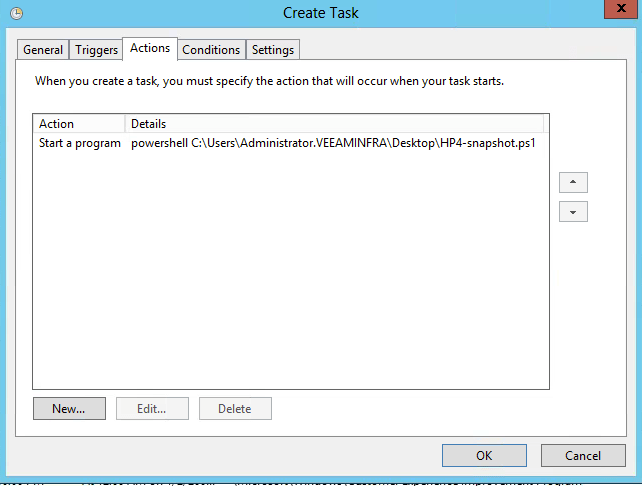 We need to create a PowerShell script. $snapshot_create_session = Get-HP4Volume -name $source_vol_name | Add-HP4Snapshot -name $snapshot_name -description "Automated snapshot"
If I would leave out “Get-HP4Volume -name $source_vol_name” in the above statement then I would delete to oldest snapshot available on any of the volumes (not just datastore1) which is not our intent. That’s all, just a few lines of code and we can accomplish cool things. 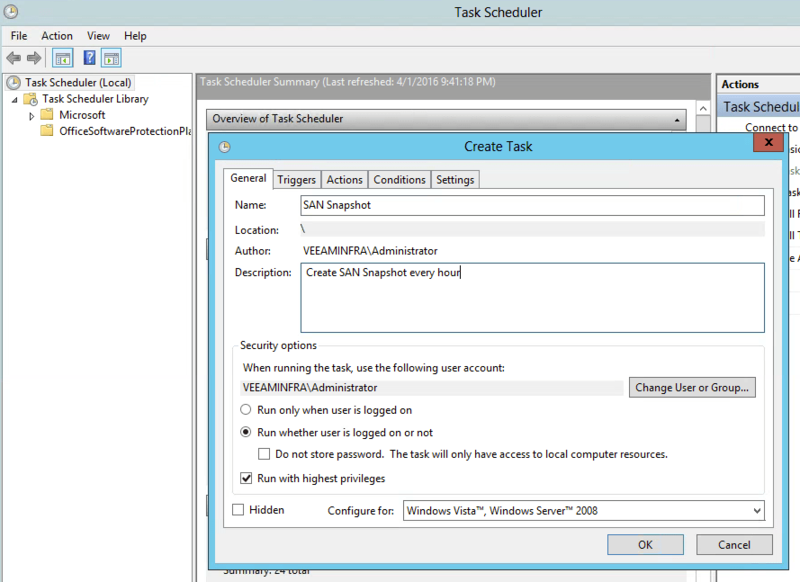 Then all we have to do is add the script as a scheduled task on the VBR server and run it once an hour or what ever intervall we’d like.